New to Illinois Green? Been a member but want to get more involved? Looking to meet and mingle with other members? What ever the reason, we are excited to spend the morning with you. As an Illinois Green Alliance member, you can demonstrate your passion and commitment to buildings and communities that give people better, brighter, healthier spaces to live, work and play. Be part of the community and gain exposure to thousands of green building professionals across Illinois. 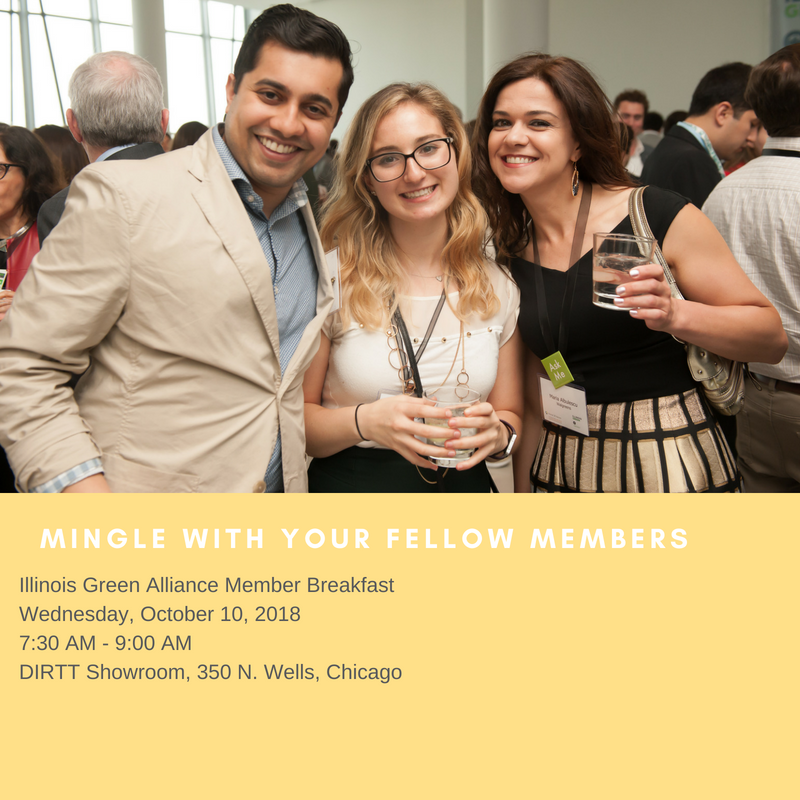 Prospective members may join Illinois Green Alliance as an individual member, or your company or organization may sponsor us. Some membership contributions are tax-deductible.